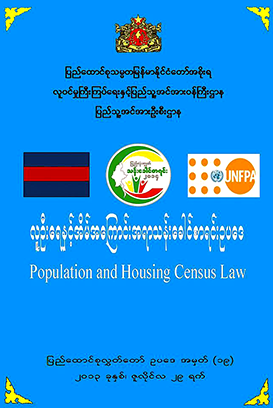 So purported high birth rate and infiltration of Bengalis into Myanmar’s Rakhine State are popular topics among the Rohingyas’s adversaries. These are not correct assessment, but illusion. There, in Myanmar side, police, military, paramilitary (Hlun Htinn), immigration and NaSaKa (border immigration special task force) are heavily stationed. NaSaKa forces have tight grasp on the population (Rohingya) of north Arakan. They have been on patrolling duty in every village day and night for the last twenty years. Again there are six monthly checking of family members and house hold animals. Legal and administrative actions are taken for any discrepancy on records. Guests cannot stay for the night without reporting to the local authority. Further there are double fences of barbed wire along the whole border. In this situation, how can a Bengali enter into Myanmar? For a native Rohingya who for some unavoidable reasons crossed the border into Bangladesh the chance to come back is nil. Once he comes back he is subjected to extortion and long term jail. It is quite unthinkable for a foreigner to come into Arakan illegally. This accuse of illegal immigration is sheer a pretext to suppress this Rohingya people. It is simply inane to suggest that Buddhism has been integral to places where it has become marginalised today. It is the people who make the difference as to what they choose to believe or reject. As history has repeatedly shown, forced conversion does not work in the long term. Whenever the fear factor is gone, people opt out to choose what suits them. And that has been the history of mankind since the beginning of history. Shenali Waduge is a die-hard apologist for Buddhist crimes against others, esp. Muslims. So it is not surprising to note Shenali’s intellectual inability to discern truth objectively. Instead, what we find is an attempt to rewrite history distorting facts with fictions, myths and lies. 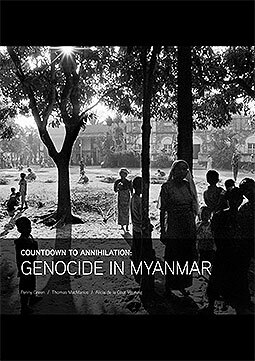 Long time ago I learned never to say ‘never again’ when it comes to Myanmar’s savagery. The latest mayhem against the Muslims in the Shan state, far away from the western Rakhine state – bordering Bangladesh, once again shows that for this religious minority Myanmar is proving to be hell on earth. Seemingly, there is no conscientious Buddhist living inside this den of hatred and intolerance that is bold enough to challenge this status quo. Daw Suu Kyi, once darling of the West, has long shown her despicable hypocrisy when she tried to ignore the monumental crimes of her Buddhist people and the government against the Rohingyas of Myanmar, considered the worst persecuted people on earth. It was not too long ago that we witnessed the grisly massacre of minority Rohingya Muslims in the Arakan (Rakhine) state of Myanmar (Burma). Many of the western observers who grew up seeing the smiling face of Dalai Lama were simply shocked to see armed Buddhist monks participating in that ethnic cleansing of the unarmed Rohingya Muslims. Not only had the monks participated in those violent criminal acts with their fellow Buddhist Rakhine zealots terrorizing the minority Muslims of the western frontier state but they were also guilty of providing the very rationale – a criminal one – for such inhuman crimes against the members of a non-Buddhist faith who were different ethnically, culturally and religiously. New report shows that the present anti Rohingya racism in Arakan was originally created by some Bengali Rakhines who illegally entered into Arakan after 1948. The leader of them is Aye Maung. He is also the president of RNDP and the mastermind of the June Rohingya massacre. These Bengali Rakhines were popularly known as the Mogh (pirates) people, the decedents of the Mogh pirates in Medieval Bengal. Aung Aung is right, these bunch members of a cult group are xenophobes believe in the cult of Awkhuntha, they know Arakanese history,” through Awakhuntha which makes them cruel human on earth.” They indoctrinate innocent Rakhines in “Awakhuntha Monastery.” This group not only destroys Rohingyas by killing and destroying their homes, they also destroys Rohingya existence in Arakan by removing Muslim sounding or Rohingya sounding names.